This is another easy, vegetarian option that is super flavorful. I’m sure you could add some chicken to make it a complete meal but make sure you add 1 red to the final container cost. I would also suggest not making/mixing this together at the beginning of the week but rather prep everything, keep in separate containers until the morning you’re planning on eating it. I eat this cold. Add the vinegar, lemon and spices to the chopped vegetables and let soak overnight. NOTES: I suggest putting it all together right before you eat it or the morning of or night before, store the couscous/beans in your fridge in a separate container from the vegetables. This would also be really good stirred all together and taken to a pot luck! I pair this with plain greek yogurt, drizzled with honey and 1 cup frozen fruit on the side to make a meal of it. It’s grilling season! 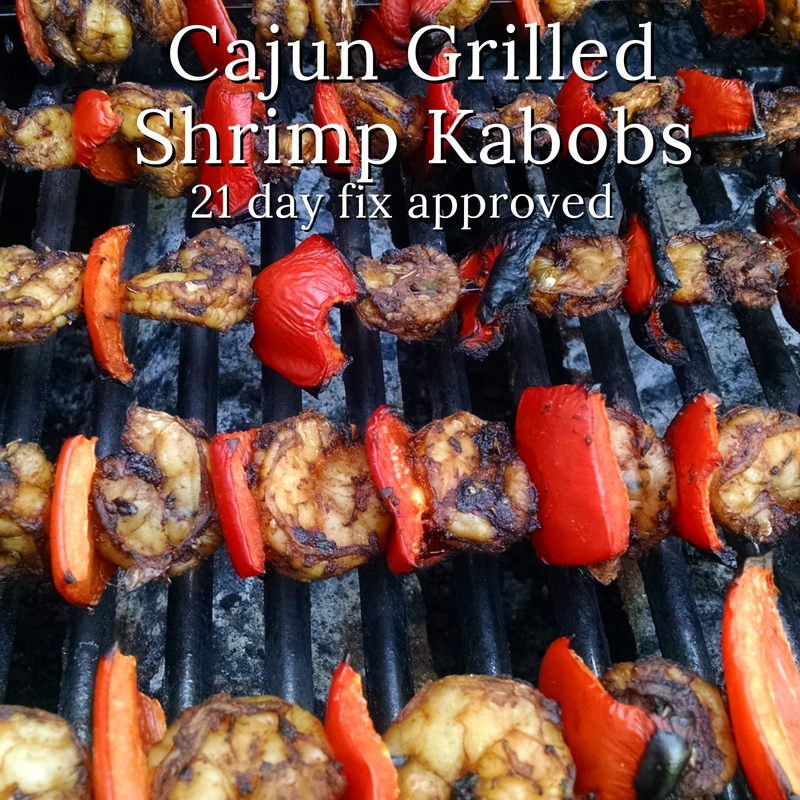 We eat off the grill as much as possible during the summer and these Cajun grilled shrimp kabobs are AMAZING and so so easy. 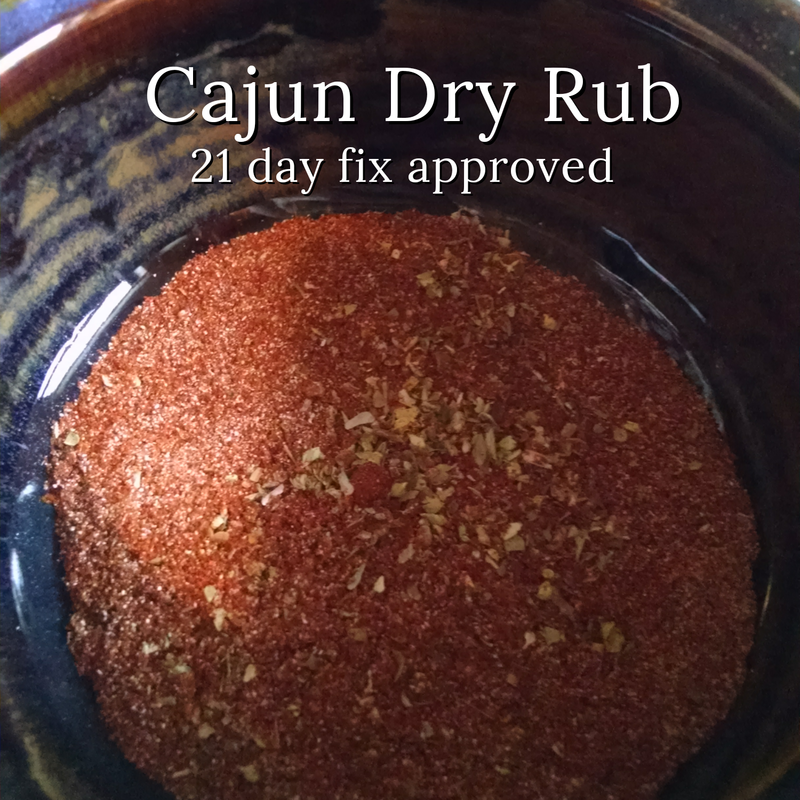 Better yet, you prepare the dry rub from your own spice cabinet so they are 21 day fix approved, clean AND can be salt free (which is virtually impossible with dry rubs). 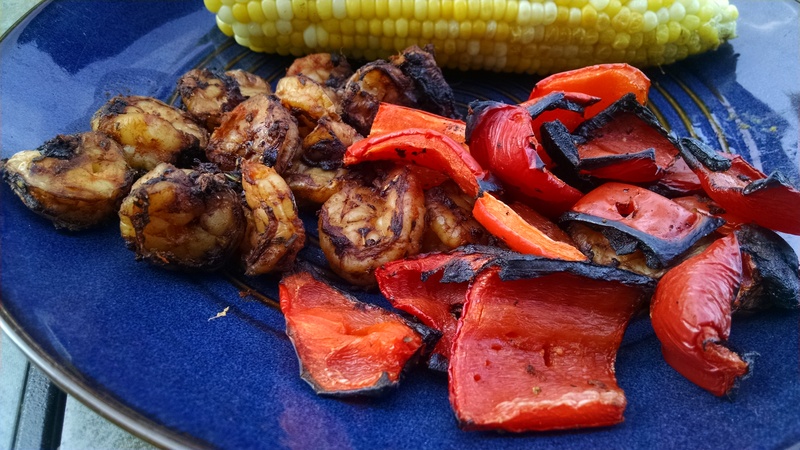 Grill with your favorite veggies on a kabob and pair with a side salad or grill up some corn or sweet potatoes. Let me know what you think. NOTE: Shrimp shouldn’t go in the fridge more then 2 days so plan accordingly. 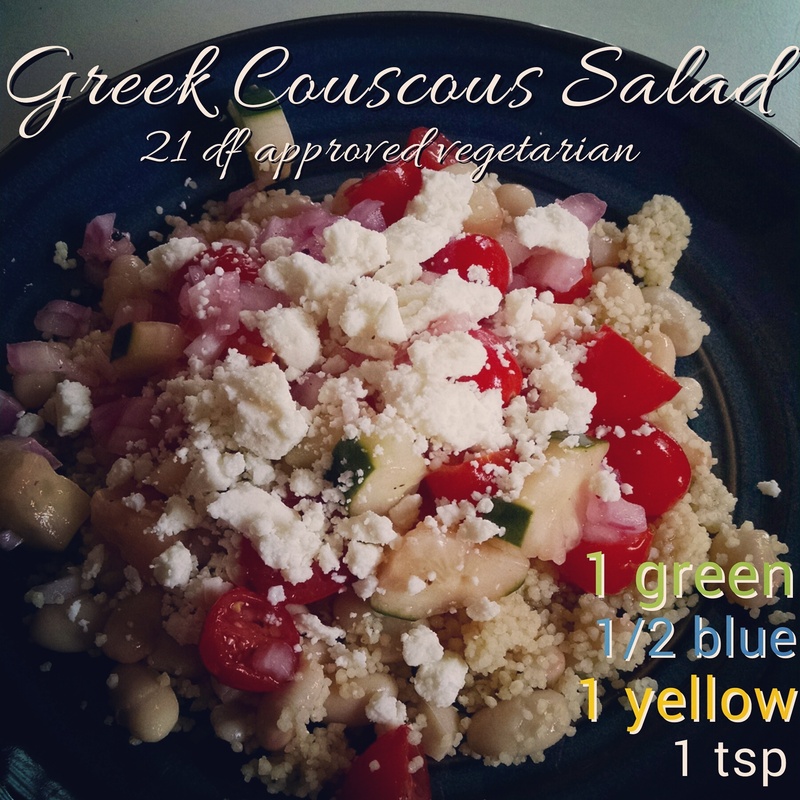 Credit to my sister, Sara, for introducing me to this easy, versatile salad that is packed with flavor. 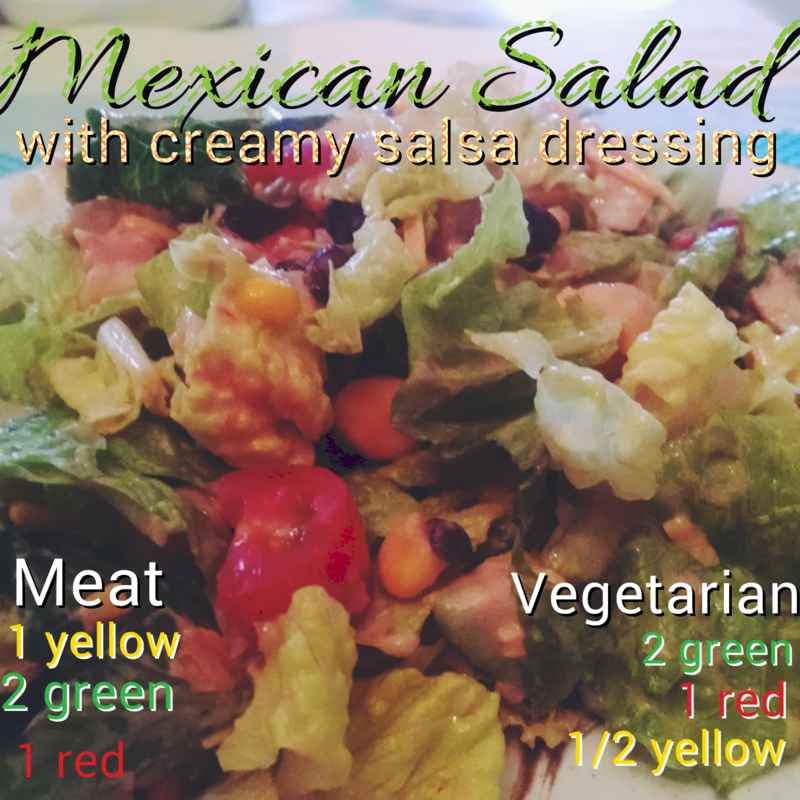 The key part of this recipe is the dressing, so simple but give it a try! I pretty much always have these ingredients on hand so it’s an easy throw together dinner when I don’t feel like being creative and it is filling! Remember, keeping it simple will make it easier to stick to the plan. I tossed the dressing with the lettuce so that the dressing was in every bite. The dressing is flavorful and just the right amount of spice. Add your beans, chopped veggies, meat & avocado if you’re using it and mix together. NOTE: You can add corn but that will affect your yellow container. Try a mixture of beans and corn to fill that yellow container.